The Sepia Stains Tarot - Third Edition | The Attic Shoppe Trading Co. This sale is now over. Orders are being processed for shipping. Thank you! The Sepia Stains Tarot is our first tarot deck and was created as a companion item to the graphic novel The Black Ibis. This is a beautiful deck that has been printed in limited numbers with each edition. You can read more about the background of this deck and see previous editions at our card blog Attic Cartomancy. 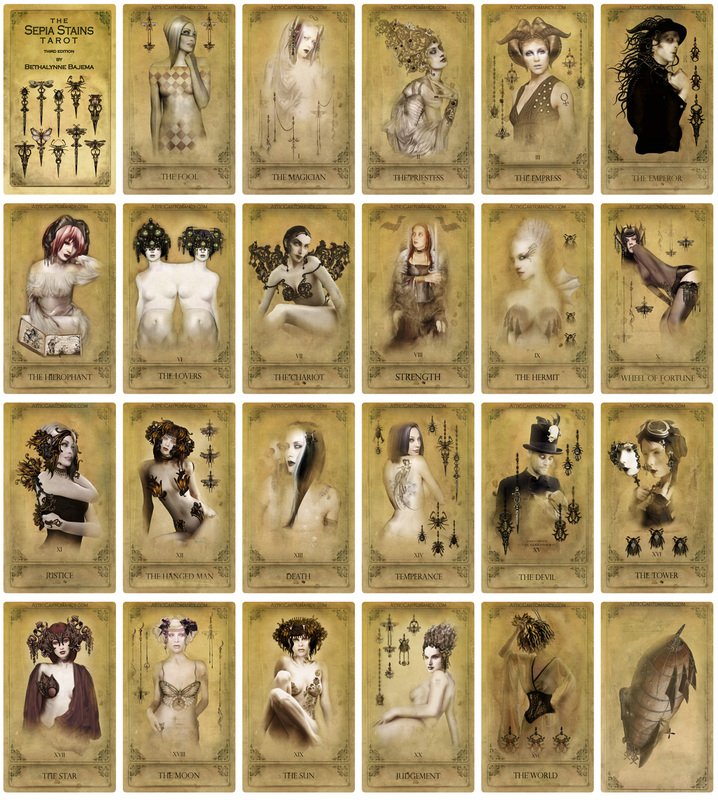 We also have art prints available featuring artwork from the major and minor arcana. Print gallery can be found here. Copyright © 2019 The Attic Shoppe Trading Company. All rights reserved.